Hotel Mumbai had its Press Conference at the TIFF Bell Lightbox today. The Film depicts the terrorist attack that happened in Mumbai in 2008 and follows the victims and those who survived. 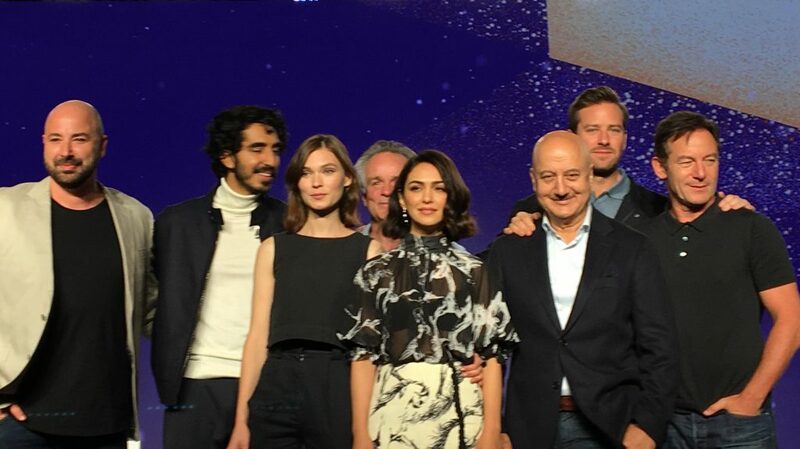 Actors Dev Patel, Armie Hammer, Jason Isaacs, Nazanin Boniadi, Tilda Cobham-Hervey and Anupam Kher were on hand along with Director Anthony Maras to talk about the film. When asked about what the actors think the main takeaway from the Film is they all concluded that it was the message of inclusivity. Jason Issacs said “we are told we are divided by race and so on…but when the extential threat happens, the divides don’t exist.”. Armie Hammer continued on with the theme of people coming together no matter how different they are. He also spoke to how the men who carried out the attack weren’t two dimensional in the Film, which was something that drew in to the Film. “The Script was dripping with humanity,” he said. Hotel Mumbai screens at TIFF on Friday, September 7 at 6 PM at Princess Of Wales Theatre, Sunday, September 9 at 10 PM at Scotiabank 1 and Saturday, September 15 at 9:30 PM at Winter Garden Theatre.